The naturally-occurring amino acid mimosine causes alopecia in Merino sheep and Angora goats. Mimosine appears to act as an antimitotic agent, but various other possible biochemical effects have been noted as well. Mimosine is degraded in the rumen to 3,4-dihydroxypyridine (3,4-DHP), some of which may be further converted to 2,3-dihydroxypyridine (2,3-DHP). Neither compound causes alopecia in sheep or goats, although 3,4-DHP inhibits cell division in wool follicle bulb cells in vitro. Mimosine may interfere with some aspects of amino acid metabolism. For example, it has been suggested that mimosine acts as a tyrosine analogue and reported that mimosine inhibits activity of some enzymes involved in tyrosine metabolism. It has also been observed that mimosine included in the diet of rats reduced serum tyrosine concentration. Mimosine inhibits activity of pyridoxal-requiring enzymes and, thus, could decrease methionine conversion to cysteine via the transulfuration pathway. In accordance, in recent studies with Angora and Alpine goats both mimosine and 2,3-DHP influenced plasma amino acid concentrations. Parenteral administration of mimosine or a perfusion of an area of skin reduced concentrations of some amino acids in plasma, but effects were variable. However, blood levels of mimosine in these studies were less than required to defleece sheep (i.e., 100 mol/L) and did not induce fiber shedding. The administration of 2,3-DHP increased plasma concentration of some amino acids). Mimosine holds promise as a means of inducing shedding. In order to eventually employ mimosine as a chemical defleecing agent, research is needed, such as to develop practical means of delivery and to thoroughly understand all other physiological changes elicited. 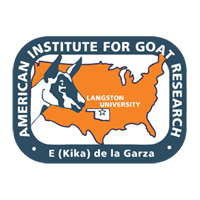 Consequently, objectives of this experiment were to examine influences of 2-day infusion of mimosine, adequate to defleece, and of oral dosing of mimosine on plasma concentrations of amino acids in Angora goats. Based on results of this experiment, physiological effects of mimosine when infused in Angora goats for 2 days at levels that defleece include altered plasma concentrations of some amino acids. However, based on oral doses of mimosine, such effects appear relatively short-term or -lived. In general, responses to mimosine infusion and dosing seem threshold in nature, involving both mimosine plasma concentration and length of time that plasma mimosine concentration is above thresholds. The pattern of change in plasma mimosine concentration due to oral dosing varied considerably among amino acids, implying alteration of various physiological processes or perhaps different threshold mimosine levels or periods of time of elevated plasma mimosine necessary for effects. In order to eventually use mimosine as a practical means of defleecing, further research is necessary to determine production impacts of mimosine on plasma amino acid levels and, if necessary, modes of preventing consequent adverse effects, such as supplementation.